Devon and Cornwall Police and Tony Hogg have issued the following statement regarding dangerous dog Stella. Chief Superintendent Jim Nye, said: “Many of you have been in contact following BBC Inside Out’s story on dangerous dog Stella. We wish to answer as many of the concerns as possible on this highly emotive issue. "Any case involving animals leads to a highly emotive response and I would like to explain to you the back ground of Stella. "We had to seize Stella, she is both an illegal breed and an extremely dangerous dog. “The welfare of dogs are extremely important to us. In the past year we have seized in the region of 100 dogs, and only Stella has been assessed as too dangerous and unpredictable for kennel staff to walk. "Stella was used on two occasions as a weapon by the owner in a threat to attack police personnel prior to being seized. The dog has then also attempted to bite a number of independent animal behavioural experts who tried to interact with her during their appraisals. “We consulted with a qualified animal behavioural expert and the RSPCA all who agreed with our assessment that Stella is an extremely dangerous dog. They were also satisfied that Stella’s welfare needs were being met. "There is now an interim exemption scheme within the law that allows police to return a pit bull terrier to its owner prior to a court hearing, if the owner is deemed to be fit and proper, and the dog does not constitute a danger to the public. “In this case the district judge declared that the owner of Stella is not a fit or proper person to own this dog. He has over 40 previous convictions for separate offences. "Also, on top of that, the judge ruled that Stella poses a risk to public safety. We would never have chosen for there to have been such a delay in Stella’s case - there were 11 adjournments; 10 of which were down to the defence and one which was down to courtroom equipment. At no time was any delay due to Devon and Cornwall Police. 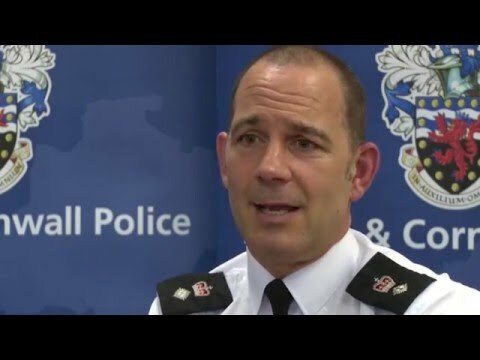 Police and Crime Commissioner Tony Hogg, said: “The issue in this case is one of public safety and the police have a duty to protect the public. The dog was removed from its owner because it is an illegal breed which presented a danger to the public. “All independent, professional advice is that the dog posed a threat, both to the public and to those who worked in the kennels. The protracted legal process is wrong both in the way it has prolonged the dog’s incarceration and in the cost to the public purse. “It has cost the public £10,000 to keep the dog in kennels. The defence was responsible for 10 of those adjournments so I am satisfied that the delay cannot be laid at the door of the police.